If you're looking for an insanely festive December, then Lush's Christmas selection is without a doubt the first place you should start. December is just a magical time of year and, I don't know about you, but something happens to my brain and for some reason I think it's ok to spend over $50 on bath products because it's totally justified. It's magical Christmas Lush products. It's totally cool. 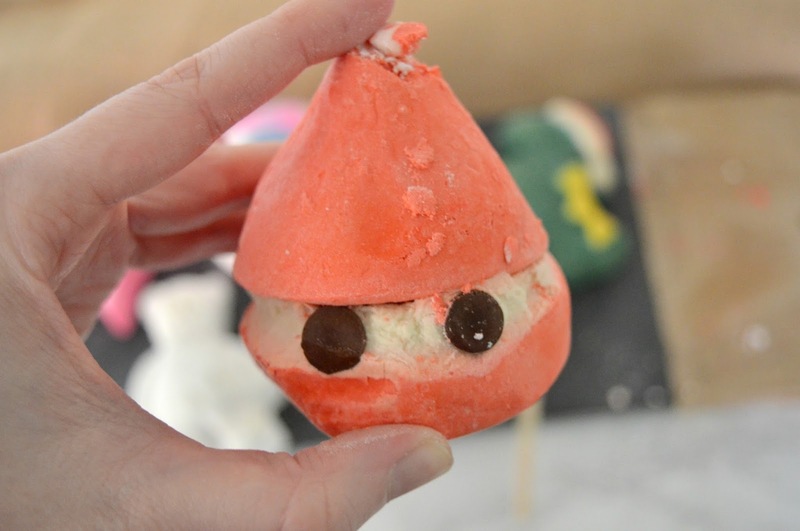 And, surprisingly, I didn't even put a dent in all the holiday products Lush has to offer. It took a lot of restraint, but I only purchased my six favorites this year. Bubble bar wands are a must. 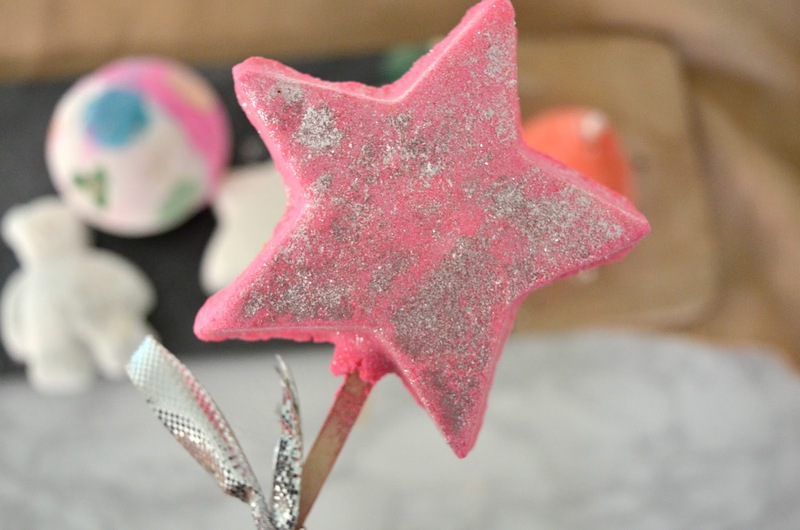 If you're ever on the fence of buying any lush product and happen to stop by a Lush store, give the Magic Wand a nice waft... but only if you're prepared to buy it and every other product with the same scent. It's that good. 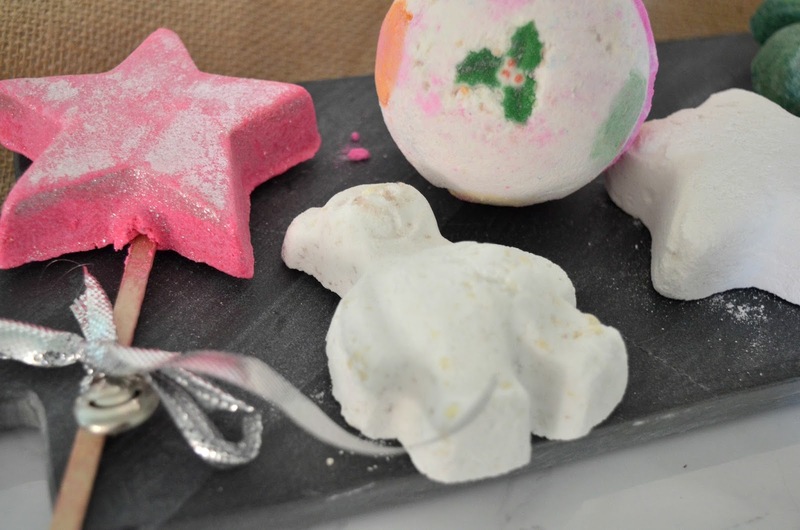 The classic Butterbear (the festive version of the Butterball) is perfect if you're into lightly fragranced and soothing baths. Definitely the perfect bath bomb to use if you have a headache or just can't deal with big scents, which is me a majority of the time. 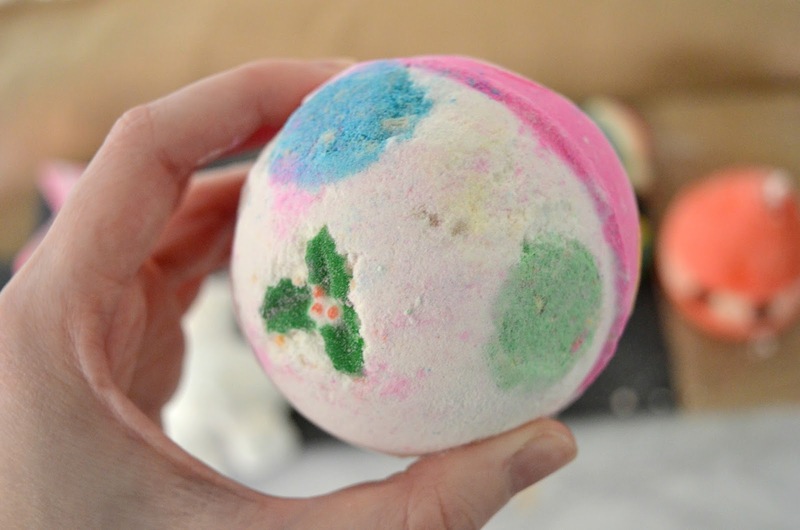 If you're looking for one of the larger bath bombs Lush has to offer and you also want it to look like it's decked out in an ugly Christmas sweater, then the Luxury Lush Pud is your guy. I'm a huge fan of lavender, so this bomb is definitely a favorite of mine. 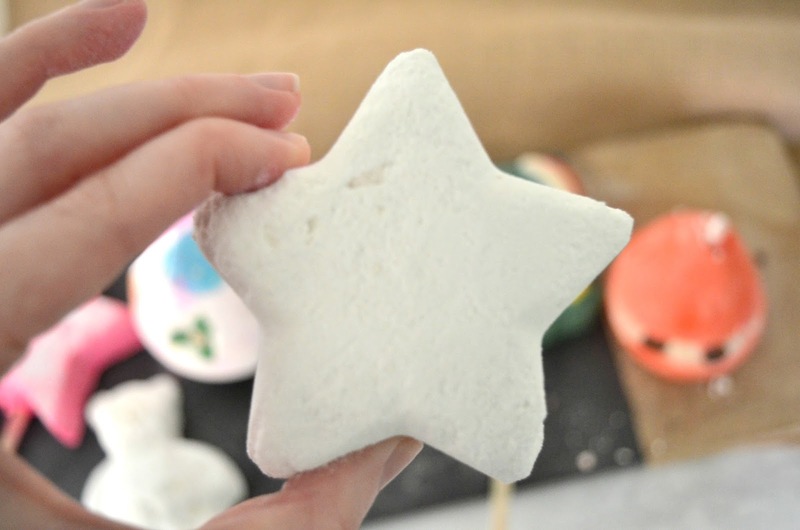 Like the Butterbear, Stardust is a soothing and relaxing bath bomb that won't overwhelm your senses, but don't get me wrong, this bomb still smells incredible. I imagine using this bath bomb on a cold night with a few warm scented candles lit. Bathing in a winter wonderland. 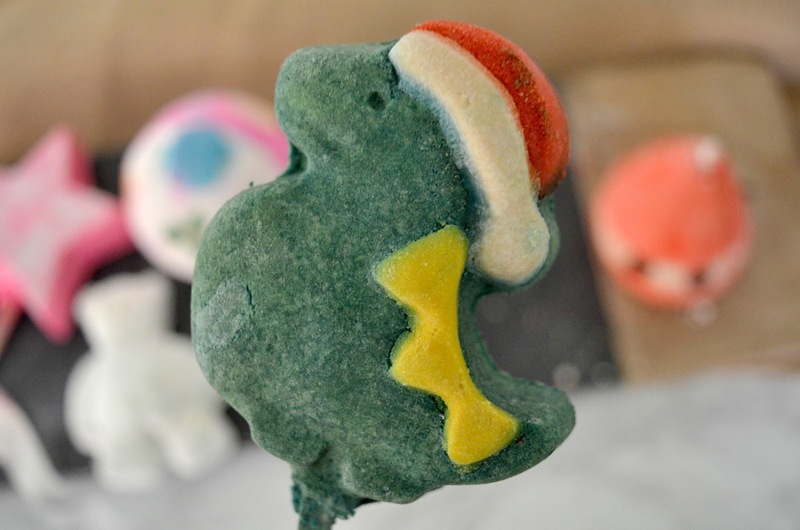 My favorite out of all Lush products (non-seasonal products included) is the Santasaurus. There's something about the scent of this little festive dinosaur that makes my nostrils go crazy. The main ingredient in this bubble bar is bergamont and I absolutely love Earl Grey tea, so maybe bergamont is to blame. I'm cool with it though. 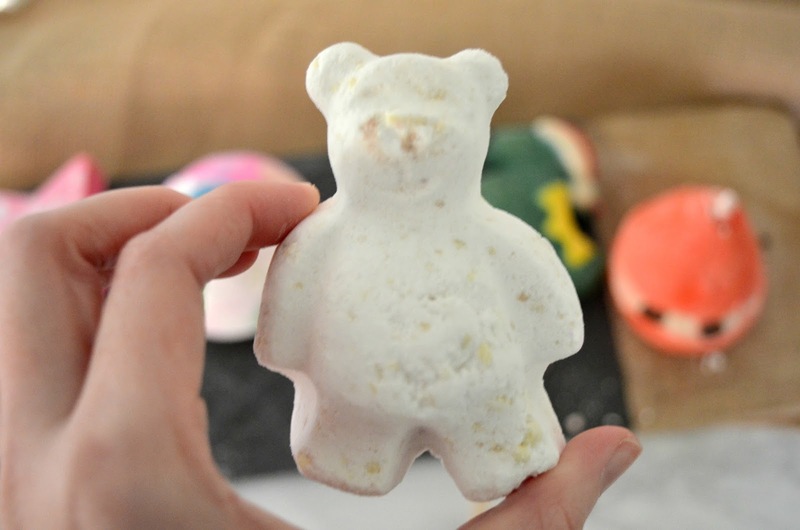 The only time you'd ever want a little peeping guy in your bath is definitely when it's in the form of a bubble bar. A Christmas essential. It's also worth mentioning that this bubble bar is strawberry scented. Heart eye emoji x10. 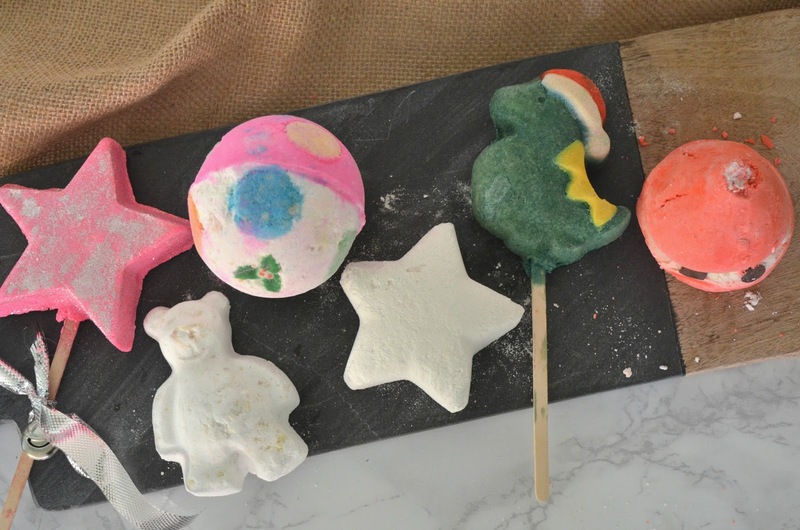 What's your favorite Lush Christmas product? All the products mentioned are 100% vegan and cruelty-free.